There's something about a change in season--especially when the days grow from short to long and the temperatures shift from cold to warm--that signals a time to make some change. After all, we've been buttoned up in our homes for months now and are ready to see an update to our all-too-familiar surroundings, am I right? 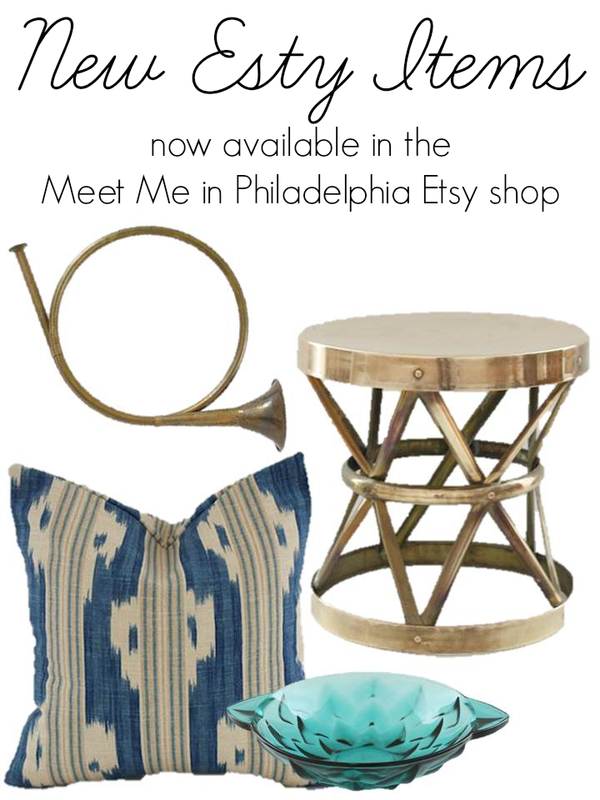 Well, the Meet Me in Philadelphia Etsy Shop is stocked with so many new items, just in time for a spring spruce up! One of our 2014 home goals (perhaps the primary one) involves our formal living room. In its current state, it's pretty okay. Tolerable even. But, we've made plans to start improving the existing charm of the space starting next weekend, and it all starts with 3 much-needed carpentry improvements. Let's chat about them, shall we? Hello again, friends! You know how this next sentence goes: I apologize for my absence then make some silly promises to post more regularly...blah, blah, blah. Honestly, I guess I've felt a little tapped out while I wait for more home projects to commence. In the last few days, I've finally had a few developments to share. Before anything else, I wanted to share my new original painting from Aubrey Levinthal, a talented artist and lovely person to boot. What would a list of must-have decorating pieces be without a mirror? Not a very good list, I tell you. 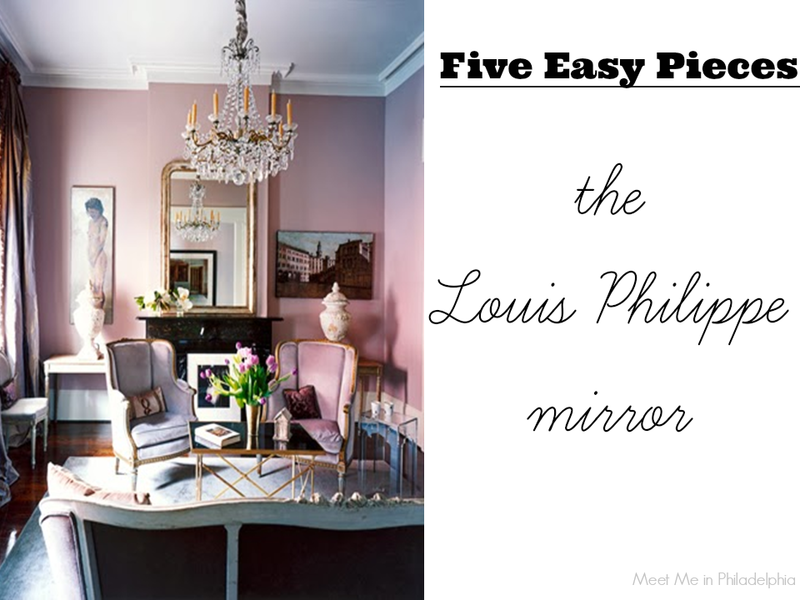 My "Five Easy Pieces" list would be incomplete without the addition of the Louis Philippe mirror, an item with style effortless and uncomplicated enough to work in both living room and bathroom, both in dining room and kitchen. 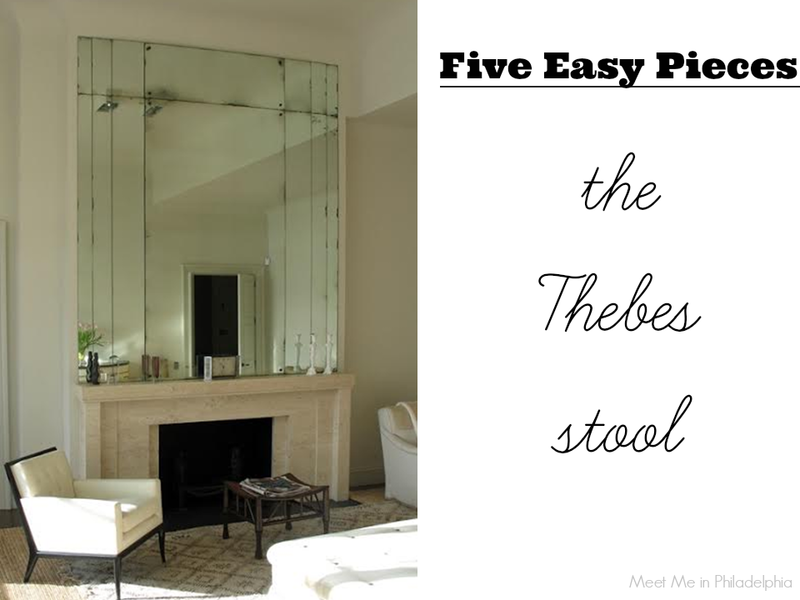 So far this week I've shared a few of my favorite practical-meets-classic decor elements in my series "Five Easy Pieces" and I hope you've enjoyed it! 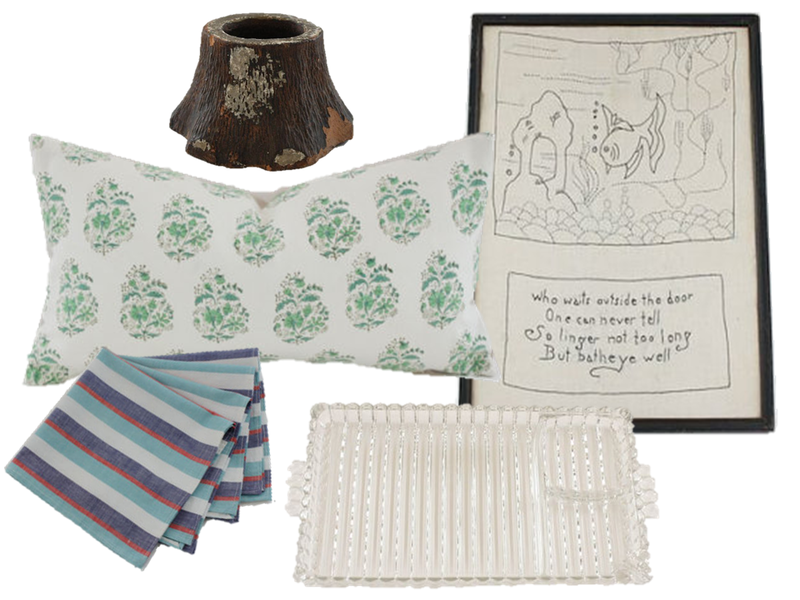 I've gotten a kick out of compiling images of "pieces in situ", seeing just how common some of these items really are. 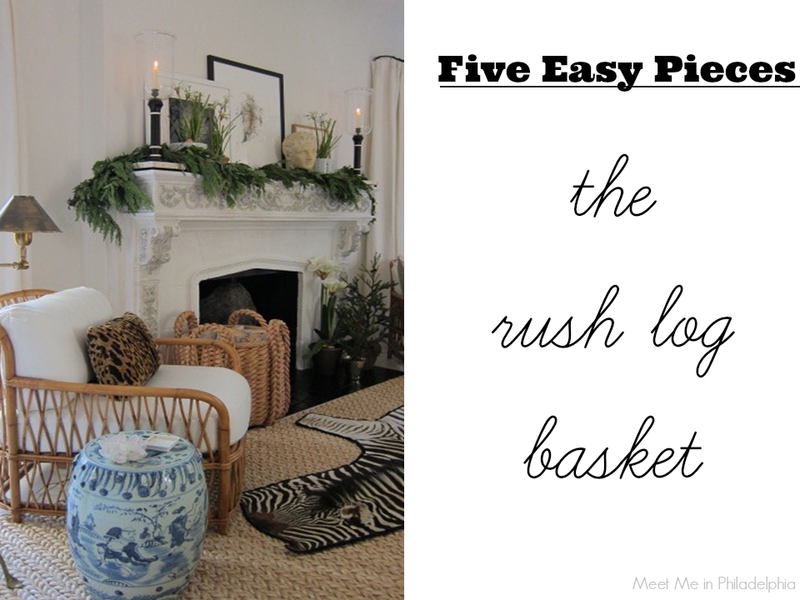 Today, I continue with a piece that I have in my own home, one that is as functional as it is attractive: the rush log basket. Do you own one (or twelve)? Are you ready for the next chapter in my "Five Easy Pieces" series? Yesterday was spent learning about and extolling the virtues of the bell jar lantern (which many of you also love!) while today I'll focus on a versatile little piece of furniture: the Thebes stool. Happy Monday, friends! How have you been? 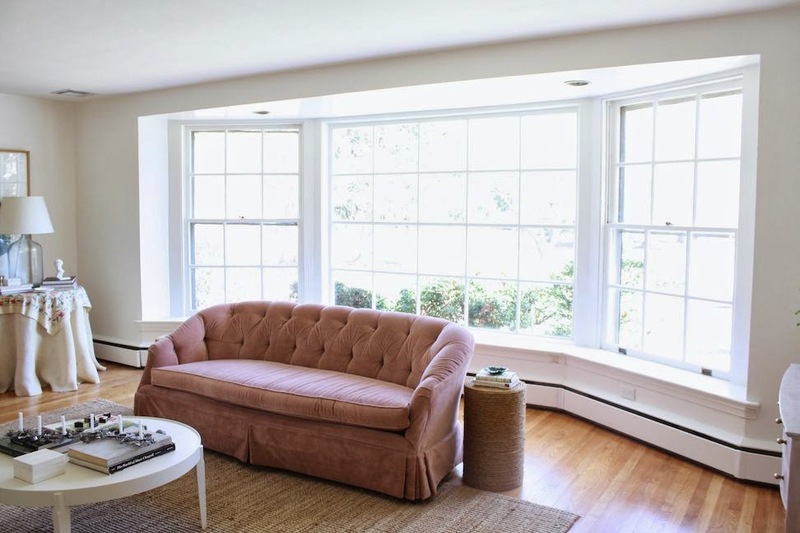 Lately, I've been building a list of classic pieces that--in almost any type of room and in the midst of any style--add something special and have proved to be timeless items worth the investment. 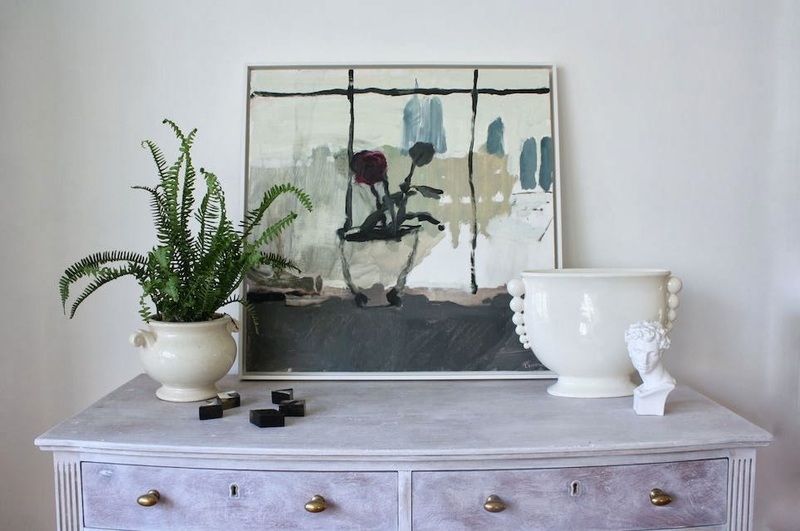 These pieces never require too much finagling or effort to work in a space; they're just easy. 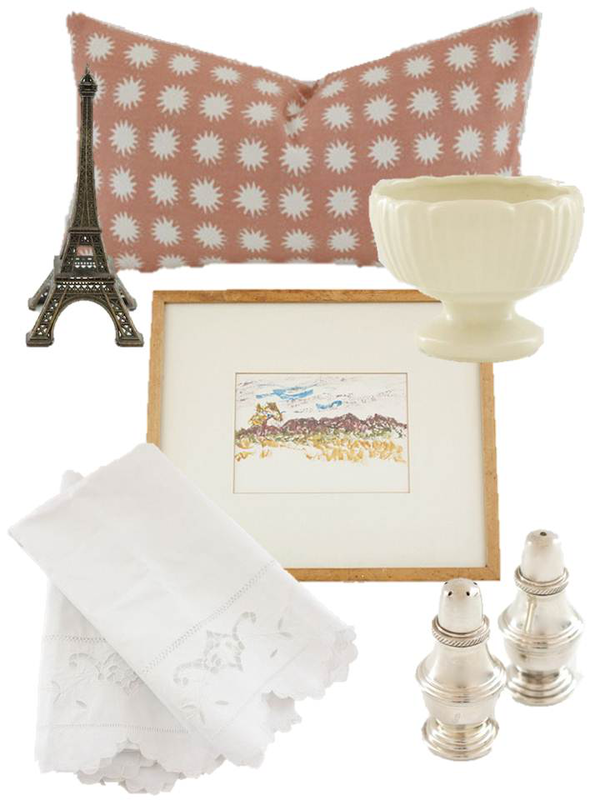 That's why all this week, I'm highlighting my favorite classic decorative items in a series I'm calling "Five Easy Pieces". 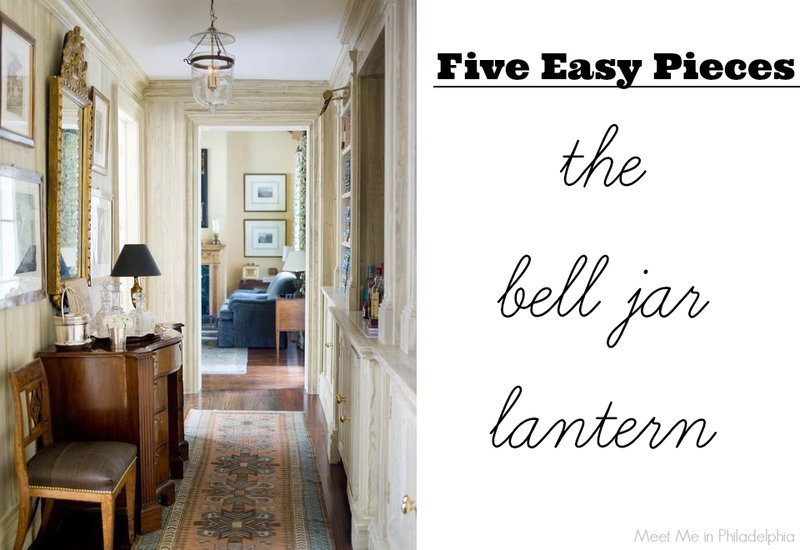 Today it's all about the bell jar lantern. Happy Monday, friends! Is it snowing where you are, too? The snow has been falling for several hours already, leaving the roads hazardous and the temperatures too cold for comfort. 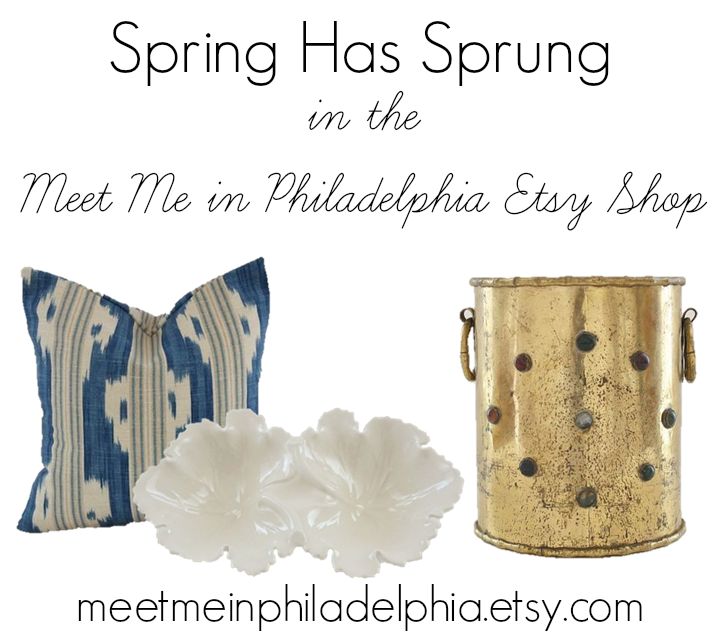 That means today is the perfect day to park myself in front of Etsy for a little pre-spring spruce-up shopping. If you're stuck inside today I encourage you to check out my Etsy shop, which is freshly stocked with goodies to warm up any (late winter) snowy day. And before the day is out, I want to thank you all for each birthday comment or email left/sent me in response to Friday's post. I've been truly humbled your kindness. Thank you so much for helping to start my thirties with happiness, confidence and friendship.